New Delhi : The government has decided to extend the deadline for mandatory linking Aadhaar card with PAN Card number to March 31, 2018. 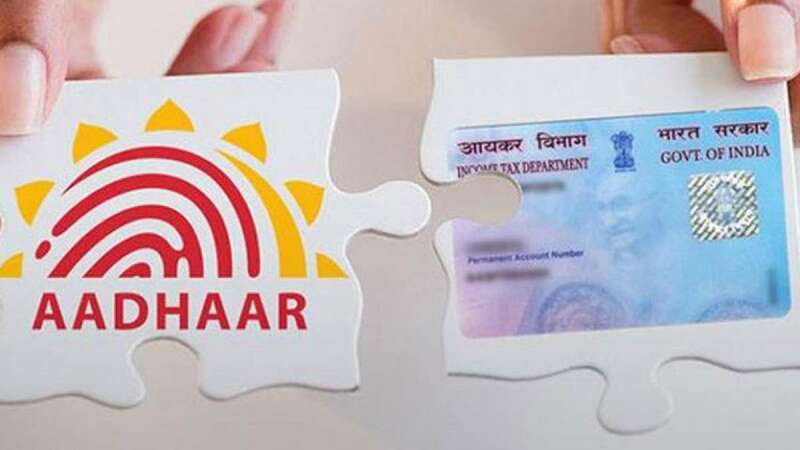 "In view of the difficulties faced by some of the taxpayers in the process, the date for linking of Aadhaar with PAN was initially extended till August 31, 2017 which was further extended up to December 31, 2017," the Income Tax Department said in a statement. "It has come to notice that some of the taxpayers have not yet completed the linking of PAN with Aadhaar. Therefore, to facilitate the process of linking, it has been decided to further extend the time for linking of Aadhaar with PAN till March 31, 2018," the statement added. Linking Aadhaar Card with PAN card has become mandatory under the recently introduced section 139AA of the Income-tax Act, 1961, with effect from July 1, 2017. Under the new section, a taxpayer with an Aadhaar number or Enrolment number is required to link it with their PAN cards within given deadline.